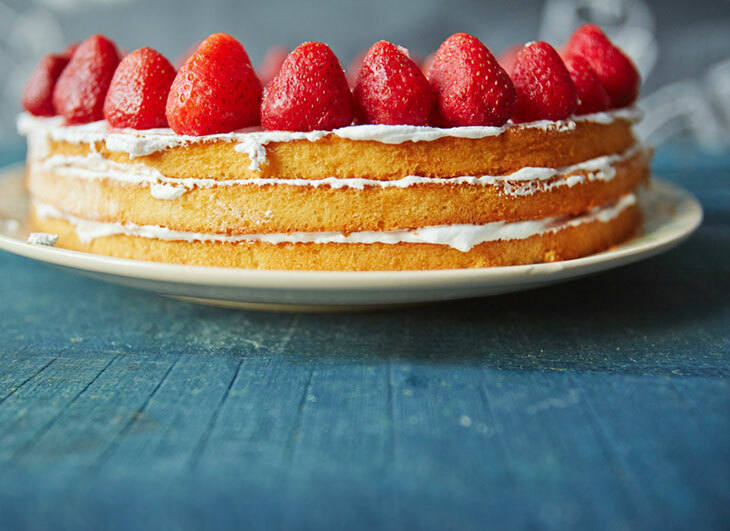 Do You Know How To Bake A Cake At Home Perfectly? 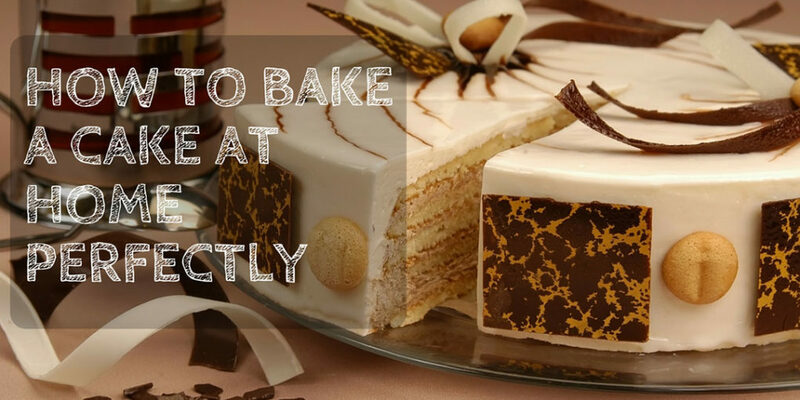 →How To Bake A Cake At Home Perfectly? When baking, ensure that you have the best recipe to follow. A good recipe means that you will have the best cake as the recipe. The recipe should simple and clear. Most of the recipes on the internet have not been tried and tested. If you don’t have a similar pan as stated in the recipe, you may need to adjust the time. It should be lined if need be. You can use parchment paper to line the pan. If you don’t have the paper, you can use oil dusted with flour or butter with the flour. Ensure that the oil or butter is not too much. The outside of the pan can be wrapped in a thick brown paper to prevent the edges from burning. Before you put the batter in the oven, ensure that it is hot enough. If the oven is not hot, the cake cannot rise well. A conventional setting is ideal for baking cakes. The fan ovens may dry the cake slightly. The ingredients should be measured carefully. The measurements should be exactly as in the recipe that you are using. Use measuring spoons to ensure that the ingredients are measured accurately. If you are using eggs and butter, ensure that they are room temperature. If butter is taken out of the fridge and used immediately, it may not cream well. If the eggs are cold, they may curdle the cake batter. When creaming sugar and butter, ensure that the mixture gets lighter in color and texture. This will ensure that the air increases. This will increase the cake volume leading to a lighter cake. You can also sift the dry ingredients together. This will help to add air. Don’t whisk the ingredients vigorously. When the cake mixture is ready put it in the oven immediately. The mixture should be placed in the oven immediately to ensure that the cake rises well. If you are using an oven to bake, ensure that the door is closed. Place the cake on the right shelf in the oven. Avoid opening the door before time. Cold air in the oven can collapse the cake. When baking, ensure that you use the right tin and ingredients. The time in the recipe that you are using will be accurate. Because the ovens may not be similar, check the cake few minutes before time. The cake should feel the same in the middle or edges when pressed. If you insert a skewer, it should come out dry and clean. If the cake is not ready, cover and cook for the remaining time. Different cakes require few minutes when cooling. The sponge cakes should be left for few minutes before placing them on a cooling rack. This will prevent soggy edges. Fruitcakes can be cooled in the baking tin. There are various mistakes that can lead to failure when baking your cake. Before you start baking ensure that you set some measures to prevent these mistakes. The following are some of the mistakes that you can avoid. The ingredients that you use are important. This is because they make the final product. Ensure that you understand the ingredients that you are using. Understand what each ingredient will do and how it will alter the baking process. Research more about the ingredients and get to understand them better. This will help you to use the ingredients well. Use exact measurements as stated in the recipe you are using. Combine them well as required. The baking equipment plays an important in the baking process. Before you start baking, ensure that you understand your baking equipment. The equipment may be the mixing bowl, the baking sheet or pan, the mixer, and others. Every equipment used can affect the process significantly. You can get different results from different baking pans. Baking pans that are dark-colored should be used at lower temperatures as compared to pans that are shiny. Some ﻿pans can be greased or floured. The temperature of the air, altitude, weather may affect the baking process significantly. Ensure that you understand your environment well before you start baking your cake. There are various problems that you may experience when baking. The following are some of the problems that are common. This may result from cooking at high temperatures, overbaking, using too much or less of an ingredient like baking powder, baking soda, flour, shortening, butter, or sugar. 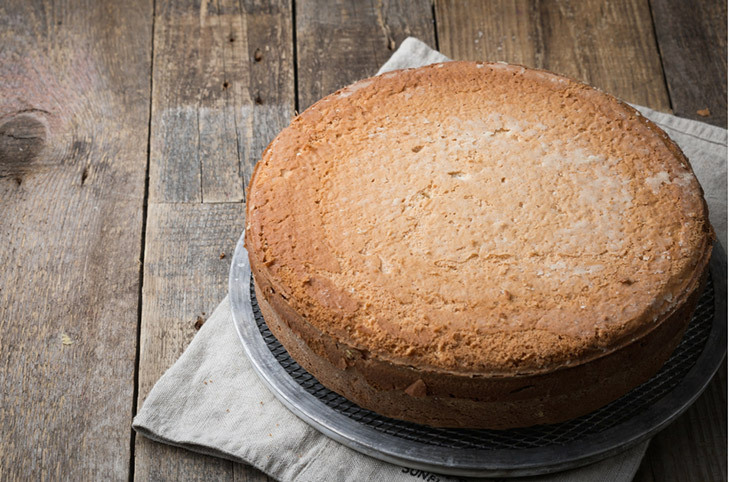 This may be as a result of baking at low temperatures, short baking time, too much liquid, humidity, or covering the cake before it cools completely. This may be due to less liquid ingredients, not creaming butter and sugar well, or using too much baking powder or baking soda. This may result by not mixing the ingredients well or by mixing the batter too much. Very high oven temperatures may also cause holes. This may be due to over mixing or under mixing. 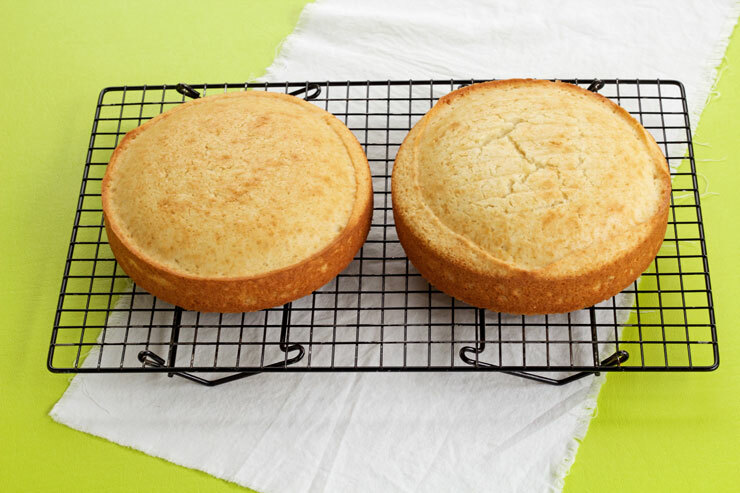 High temperatures or a pan that is too large may result to a flat cake. Using a small baking pan may lead to a fallen cake. Using expired ingredients like baking powder or soda, not measuring wet ingredients well, too low temperature or short baking time may lead to a fallen cake. This may be caused by over-greasing the baking pan, underfilling the pan, mixing the batter too long, not using enough liquid, overbaking the cake, or cooking at high temperatures. This may occur if the oven is overcrowded, hotspots or poor air circulation in the oven. In a recipe, it may be necessary to substitute some ingredients. If the ingredients are not substituted well, the result may be affected significantly. The following are some of the common substitutes that you can make for your cake batter. A cup of milk equals ½ cup of evaporated milk and water a ½ cup. A cup of butter that is salted equals a cup of shortening and salt a ½ teaspoon. This is the easiest recipe that you can make at home. There is no mess or fuss. You need a wooden spoon to mix the ingredients. Ensure that the batter is not overmixed. You don’t need butter or eggs. The cake can stay moist for about 4 days. The cake can be used for birthdays, anniversaries and other special occasions. Mix flour, cocoa powder, sugar, and baking powder in a large bowl. Whisk vegetable oil, milk, and vanilla extract in another bowl. Pour the wet ingredients into the bowl that has flour mixture. Use a wooden spoon to stir until all the ingredients combine well. Grease your baking pan or use flour. Put the batter into the baking pan and place it in the heated oven. Bake for about 40 minutes. Use a toothpick to check if the cake is ready. The toothpick should come out clean. Place the cake on the wire rack to cool it down. Before you serve your moist cake, dust it with powdered sugar. Use the instructions given to prepare the cake mix. Put water about an inch to the pot and simmer over high heat. Use cooking spray and spray the Bundt pan. Put it in the pot, at the centre. Use the towel to cover the pot and then place the lid on top. You can fold the towel to ensure that it doesn’t catch fire. Steam the cake for about 50 minutes. Use a toothpick to check. It should come out clean. Use potholders and a big spoon to take the Bundt pan from the pot. The spoon will act as a leverage when lifting the pan from water. Let the cake cool down before you invert the pan. Invert the pan onto a serving plate and decorate it as you want. This recipe is easy to follow. You can have a light fluffy and delicious vegan. This is ideal for any occasion. Heat your oven up to 350 degrees. In a mixing bowl, sift the baking flour gently. Add baking soda, sugar, and salt. Mix them well. Add olive oil, vanilla, soy milk, and vinegar. Whisk the ingredients to make the batter. Grease your baking pan. You can use coconut oil or olive oil to grease. You can use one or two depending on the size. The batter should be divided equally if you are using two pans. Transfer the batter into the baking dish and cook for about a half an hour. Take it from the oven and check if it is ready. If it is done, a toothpick should come out clean. Place it on the cooling rack to cool down completely. Mix the vegan butter, sugar, soy milk, and vanilla to make the frosting. You can use an electric mixer to mix. Start on low speed and increase slowly until you get a creamy and smooth frosting. If the frosting is too thin you can add more sugar, if it is too thick, you can add more milk. It should be thick enough to spread on the cake easily. Add the ﻿frosting to the cake when it has cooled completely. If the cakes are two, you can add frost on one cake and put the other cake on top of the frost. Frost the cakes completely. The recipe needs a pressure cooker to bake. This is ideal for those who don’t have an oven. You can use an aluminum tray to bake. The cake will be spongy, soft, and aromatic without the eggs. You can also try to bake other cakes in the pressure cooker. The pressure of the cooker is not used. Melt the butter in the microwave using a bowl. You can also melt the butter on the stove. As soon as the butter melts, take it from the stove. Add the flour, milk, baking powder, and the vanilla essence in the butter that you melted. Mix the mixture well until you get a paste that is smooth. You can use a hand blender. When the batter is ready, grease the pan that you want to use in the pressure cooker. Use oil to grease and sprinkle a teaspoon of flour on both sides and at the base. This will help to identify any space that is not greased. Greasing the baking pan will ensure that the cake doesn’t stick. The extra flour in the pan should be discarded. Put the batter into the greased pan and place in the pressure cooker. The pressure cooker should be large enough to hold the baking dish. Don’t add any water to the pressure cooker. The whistle or cooker weight is not used when baking. Ensure that a steel plate or bowl is not used. Create a layer between the baking dish and the pressure cooker to avoid direct heat. Bake at high heat for about 2 minutes. Turn the stove to low and bake for about 30 minutes more. Take the cake out and check if it is ready. Insert a toothpick at the center, it should come out clean and dry. If not, put it in the pressure cooker and cook for about 5 more minutes. Use a small ﻿knife to separate the cake from the baking dish. Ensure that you don’t damage the cake. It should come out effortlessly. Invert the baking dish on a serving plate to get the cake out. 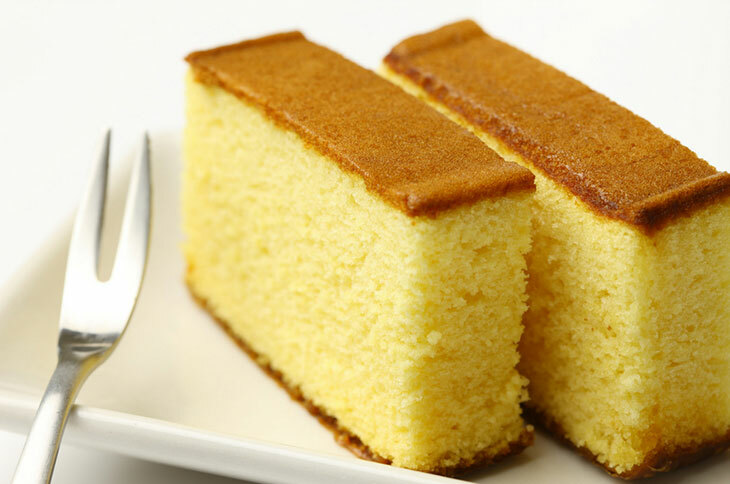 You can serve the soft and spongy cake immediately or keep it in the fridge. It can last for about 5 days in the fridge. If you want it soft and spongy, serve it immediately. Creaming method is used in the recipe. 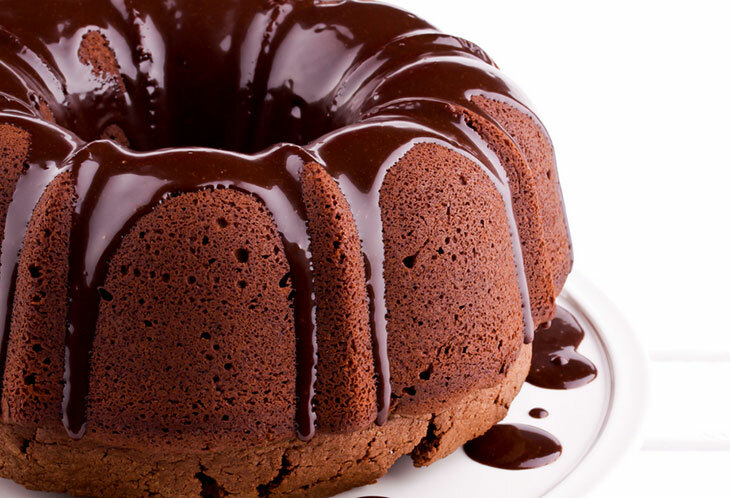 This is ideal for making high-fat cakes. This makes the cake to be fluffy and light. Put all the ingredients at room temperature. If the eggs, milk, and butter are too cold, there will be no emulsion and the cake will not be fluffy and light. Heat the oven up to 350 degrees. Oil and flour two cake pans that are 9-inch. You can also line the pans with parchment paper. Cut the papers to fit in the pans well. 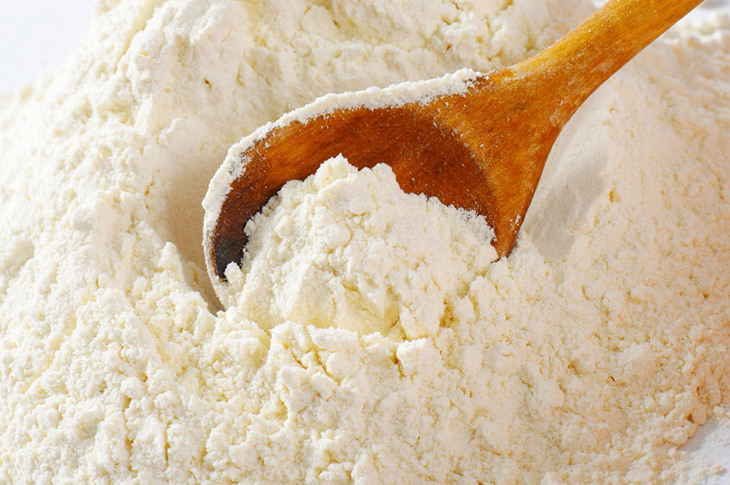 Sift the flour, baking soda, baking powder, and salt in a mixing bowl. Set the mixture aside. Cream the unsalted butter and sugar in another bowl. Add vanilla and sugar. Mix until the mixture is fluffy. This can take up to 10 minutes. Add the eggs one by one. Ensure that each egg is incorporated before adding another one. Mix the mixture until it is light and airy. This can take up to five minutes. Scrape the both and sides of your bowl. Add ¼ of the sifted dry ingredients to the butter mixture and mix well. Add 1/3 cup of milk and continue mixing. Repeat the procedure until all the dry ingredients and milk are incorporated. The batter should be smooth. Remember to scrape the sides and bottom of the bowl as you mix. When the batter is ready, pour it into the lined baking pans. You can bang them on the counter to release air bubbles. Put them in the oven and bake for about 30 minutes. Use a toothpick to check if the cake is ready. When ready, it should come out clean. If it not, bake the cake for five more minutes. Put the cakes on the wire rack for about 10 minutes to cool down. Use a knife to loosen the edges. Take the cakes out and cool them on the racks until they cool completely for frosting. This cake is one of the most popular cakes worldwide. The cake can be served on various occasions like weddings, birthdays, anniversaries and others. You can easily make it at home and treat your family and friends. This recipe is easier and simple to follow. You don’t need an oven to bake the cake. Before you serve the cake, you can chill it in the fridge. This will enhance the taste with the intense cherry flavor. Make the frosting before you start baking. You can also make it after baking. Keep the wire whiskers, mixing bowl, and the hand whiskers in the freezer for a half an hour. You can put some ice cubes in the under the bowl that you will use to make the icing. Put some ice cubes in a tray and put a bowl on top of the ice cubes. Put the cold milk and whipping powder in the bowl. Use the el﻿﻿ectric whisker﻿﻿s to mix for about 3 minutes. If you overmix, the mixture will turn into butter. If you want it sweet, add icing sugar. This will 5 minutes if you are using the hand whisker. Keep the cream in the fridge until the cake is ready for frosting. Prepare the baking pan by greasing and dusting it with flour. Discard the excess flour. Put the eggs and the sugar in the blender. Blend them together. Pour the mixture into a large bowl. Add oil and whisk until the mixture is soft. Sift the dry ingredients together and add them to the egg mixture little by little. Continue mixing until you finish the dry ingredients. Add the vanilla extract and mix to incorporate. Pour the batter into the prepared pan. Ensure that the batter covers half of the pan. This is because the cake will rise. Place a non-stick vessel on the stovetop and heat it. when it is hot, lower the heat to minimum. Place the baking pan in the vessel carefully and cover with a lid. Cook for about 40 minutes at low temperatures. Use a toothpick to check if the cake is ready. You check after 30 minutes. If it comes out clean switch of the heat. Take the tray out of the vessel and allow the cake to cool down for an hour. Divide the cake into two and set them aside separately. Level the sides and the top of the two layers well. Save the crumbs for garnishing the sides of your cake. When the cake has cooled completely, start icing. Spread the whipped cream on top of one layer and add the chopped cherries. Place the other layer on top. Spread the remaining cream on the whole cake thickly. Put the chocolate shavings at the centre and sprinkle the vanilla vermicelli and the cake crumbs on the sides. Top it with the fresh cherries and keep it in the fridge for 2 hours before you serve. A cake can be baked a day ahead of decorating it. This will help you to freeze the cake before decorating. Freeze the cake to ensure that the crumb tightens. It will also stay moist after decorating. You can easily work on a frozen cake when cutting or trimming. You will get few crumbs when torting and leveling. 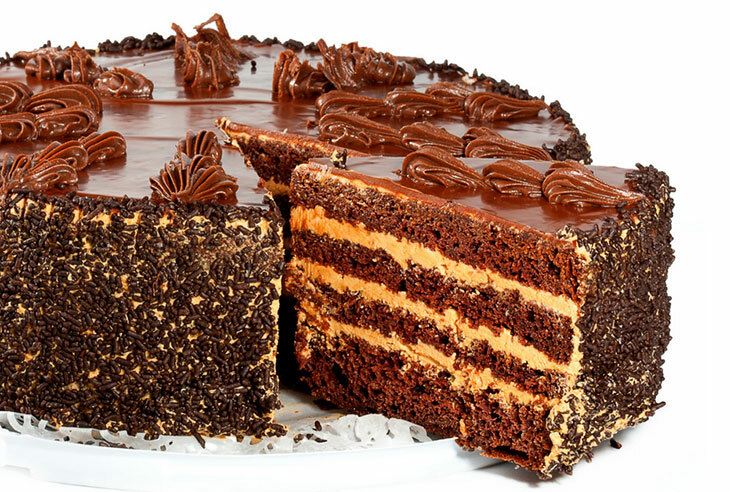 You can easily handle the cake layers. Before you wrap the cake, ensure that it has cooled completely. Wrap the cake tightly using a plastic wrap. Use a foil over the plastic wrap and keep it in the freezer. The cake can be frozen for about 2 hours to 12 hours. Take the cake from the freezer before you get ready to decorate it. If you don’t want to freeze the cake, ensure that it cools completely. Storing the cake in the fridge will make it lose its moisture. It should be kept at room temperature or you freeze it first. Take your cake from the freezer. Unwrap the foil and leave the plastic cover. Allow the cake to sit at room temperature for about 2 hours. The time also depends on the size of your cake. Unwrap the cake and start to frost and decorate it. You remove the plastic wrap the last few minutes of thawing so that the surface dries. This will ensure that the frosting adheres well. If you want to tort or level the cake, do the cutting and trimming before it thaws completely. You can store the cake at room temperature. 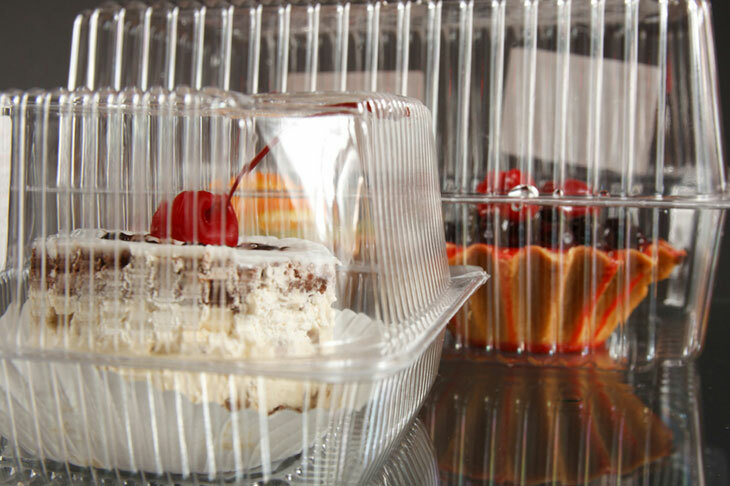 Use a container that is airtight and cover with a cake plate. You can also use an inverted bowl to cover. You can also store the cake in the pan that used to bake. Cover with a foil or its lid. If the cake has fluffy frosting and does not hold up very well, put a spoon or knife under the lid. This will allow air to flow well. If you have an airtight cover with this type of frosting, it will run or melt from the build-up moisture. You can also store the cake in the fridge. Use an airtight container and cover it well. If the cake is too large, to fit in a container, you can place it the fridge for the frosting to set. Use a foil or a plastic cover the cake loosely. Not all filling and frostings can be frozen. 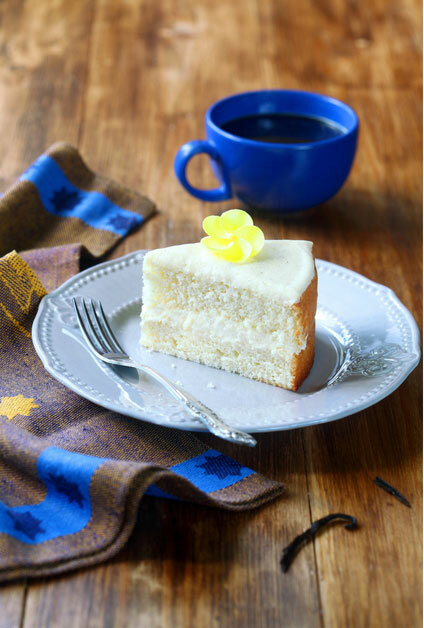 If the frosting you are using can be frozen, place the cake on a flat surface which can hold the cake in the freezer. You can use a cookie sheet, a cutting board, or a cake board. Store the cake in the freezer unwrapped. As soon as the frosting and the decorations are frozen hard, take the cake out and use a plastic to wrap it. Ensure that plastic doesn’t stick to the frosting. Use a foil to wrap the cake quickly and secure the edges to ensure that no air is getting in. Put the cake in a cake box or container and keep it in the freezer. Take the cake out of the freezer and uncover it immediately. This will prevent the plastic wrap from sticking as the cake thaws. Put it in the fridge to thaw. This will ensure that there is no condensation forming on the cake as it thaws. Condensation can ruin the frosting and decorations. Ensure that where you put the cake, other foods are not exposed. This will prevent it from damage. 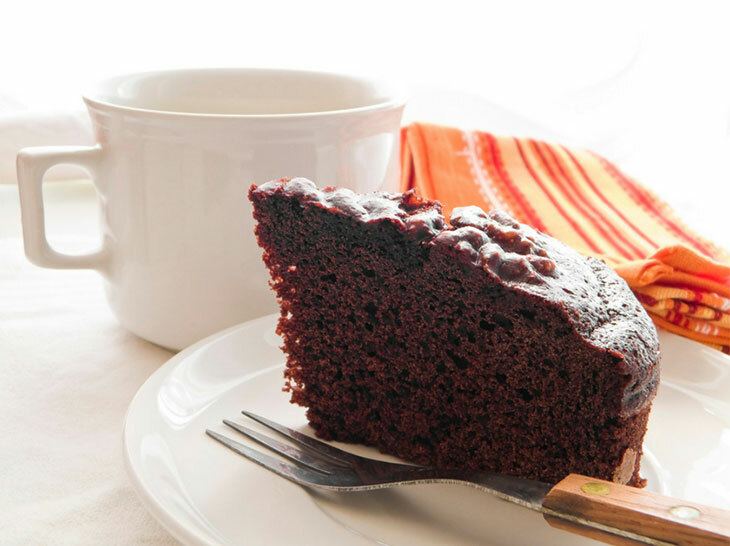 After thawing the cake in the fridge, take it out to room temperature for about two hours before you serve. Baking at home can be intimidating to the beginners. But it is easier and simple when you have a guide to follow. 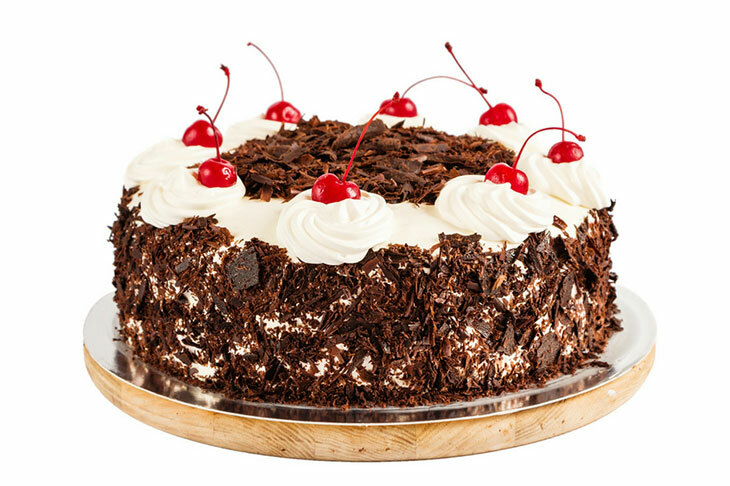 You can make cakes from scratch at home for various functions. Ensure that you use the right ingredients, the right amount, and the right baking tools. If you want to substitute the ingredients, ensure that the substituted perfectly. Have you ever bake cakes from scratch? Feel free to share with us the experience and ideas.